RadDataForm allows you to easily display, update and navigate through data. It is mainly focused on the single item itself and enables editing, removing or adding a new one. This section defines the terms and concepts used in the scope of the RadDataForm that you have to get familiar with prior to continue reading this help. They can also be helpful when contacting with the support service in order to better describe your issue. 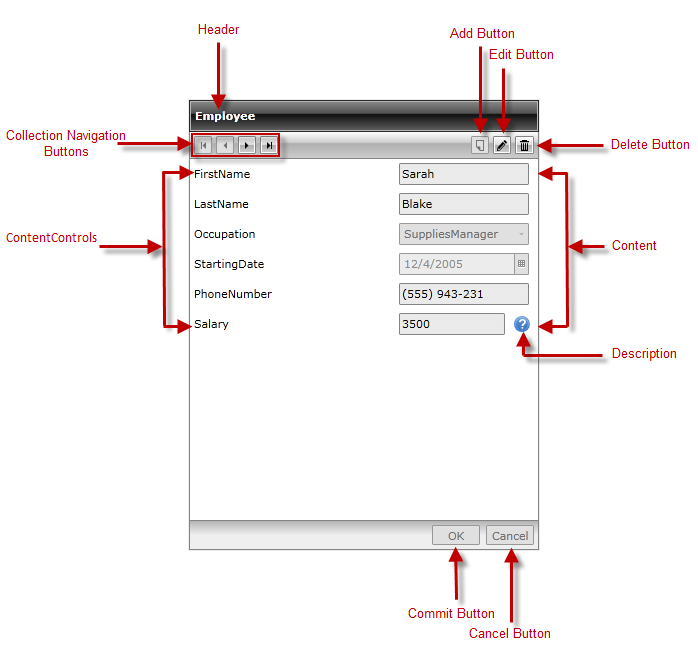 Below you can see snapshot and explanations of the main states and visual elements of the standard RadDataForm control.